Good companies invest in their Staff and the provision of a decent food operation on site has the obvious spin offs of providing a well priced meal and encouraging more social cohesion amongst the workforce. Increasingly, professional firms are offering staff food from breakfast onwards and servicing meeting rooms and management/visitor lunches as part of their package to attract staff and clients alike. R H Morton has long standing Service Contracts with industrial companies, some of whom they have fitted out, and some who have come for a quality After Sales experience. Over time, we have built good personal relationships with these customers and a level of mutual loyalty which is harder to find in this day and age. 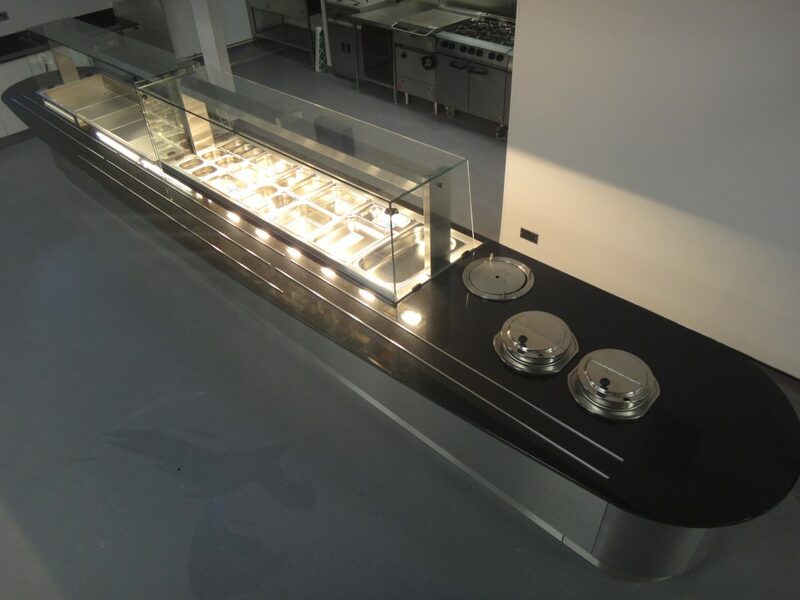 We not only manufacture Self Service Counters, we also offer a complete package on floors, walls, and kitchen equipment make them a sound choice for all sizes of staff restaurants. "Life with Linn: a life enriched"